Welcome to The Mental Breakdown and Psychreg Podcast! 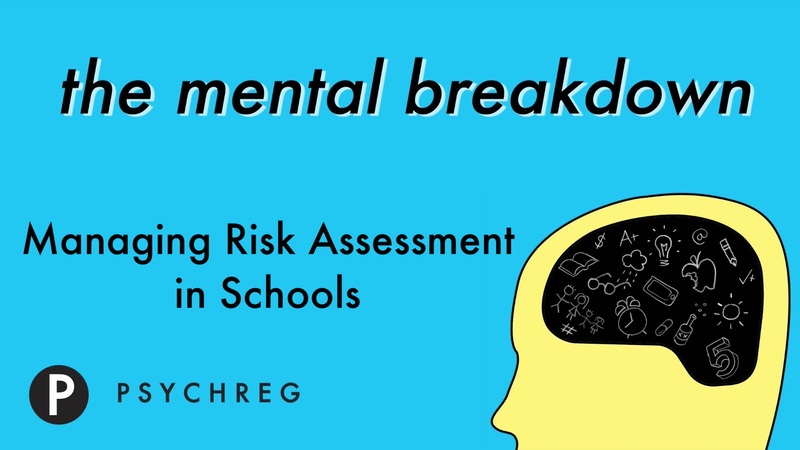 Today, Dr. Berney and Dr. Marshall discuss the ongoing concern about student safety and a plan to assess risk without punishing students. Read the articles from the Washington Post here and from CNN here. You can read the entire MSD High School Public Safety Act here. You can now follow Dr. Marshall on twitter, as well! Dr. Berney and Dr. Marshall are happy to announce the release of their new parenting e-book, Handbook for Raising an Emotionally Healthy Child Part 2: Attention. You can get your copy from Amazon here. We hope that you will join us each morning so that we can help you make your day the best it can be! See you tomorrow. Become a patron and support our work at http://www.Patreon.com/thementalbreakdown. Visit Psychreg for blog posts covering a variety of topics within the fields of mental health and psychology. The Parenting Your ADHD Child course is now on YouTube! Check it out at the Paedeia YouTube Channel. The Handbook for Raising an Emotionally Health Child Part 1: Behavior Management is now available on kindle! Get your copy today! The Elimination Diet Manual is now available on kindle and nook! Get your copy today! Follow us on Twitter and Facebook and subscribe to our YouTube Channels, Paedeia and The Mental Breakdown. Please leave us a review on iTunes so that others might find our podcast and join in on the conversation! Welcome to The Mental Breakdown and Psychreg Podcast! Today, Dr. Berney and Dr. Marshall discuss the issue of school safety and what it means for our students. Read the article from the National Association of School Psychologists here. Welcome to The Mental Breakdown and Psychreg Podcast! Today, Dr. Berney and Dr. Marshall discuss some of the unintentional issues we encounter when trying to keep everyone safe.